Enzyme-based biological stimulant to promote increased bacterial metabolism. Amplifies the effect of ZEObak. 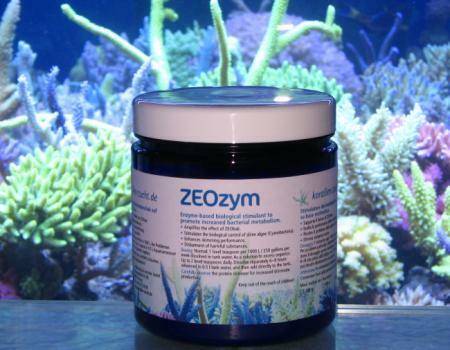 Stimulates the biological control of slime algae (Cyanobacteria). Dosing: Normal: 1 level teaspoon per 1000 L / 250 gallons per week dissolved in tank water. As a solution to excess organics: Up to 2 level teaspoons daily. Dissolve separately 6-8 hours advanced in 0.5 l tank water, and then add directly to the tank. Carefully observe the protein skimmer for increased skimmate production.